PETEX 2018 in London Olympia allowed for easy networking between exhibitors and delegates. © PESGB. 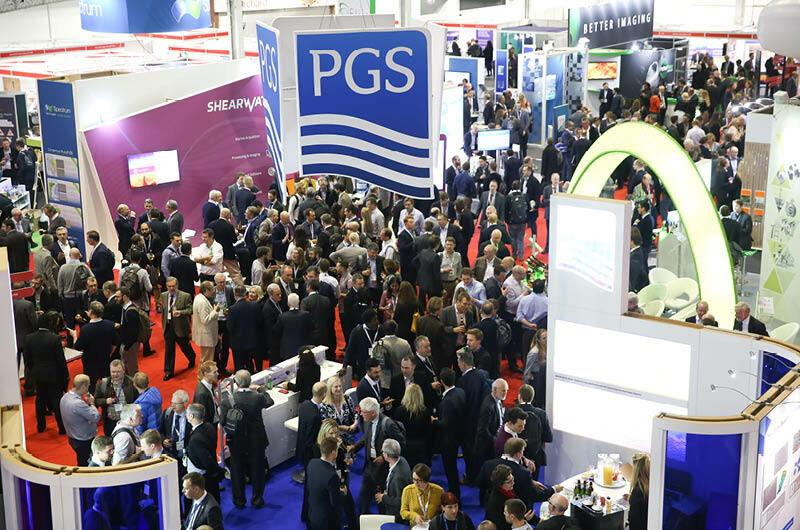 PETEX, the biennial meeting of the Petroleum Society of Great Britain, took place in London 27-29 November 2018, back in its original home in Olympia, West Kensington, instead of the more cavernous space of the Docklands Excel Centre, where the last couple of events were held. 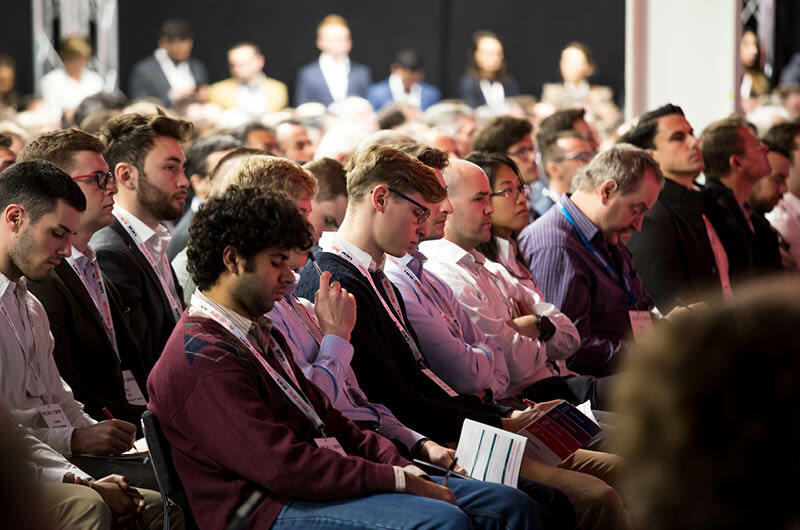 Whether it was the change in location or the upbeat title of the conference –‘A Renewed Optimism’ - there was definitely a very different atmosphere in the air compared to the 2016 event – or even similar events just a year ago. 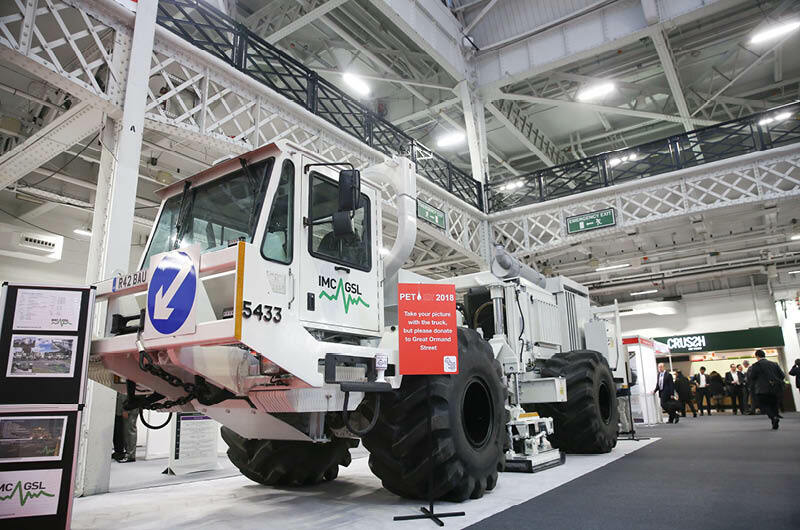 With over 3,000 attendees, more than 100 exhibitors and some 200 , this year's event was also one of the biggest PETEX's yet. The tone was set by the keynote presentations in the opening session: not so much unwarranted optimism, more a gauntlet thrown down to the industry. As Petex chairman Richard Fox pointed out in his opening speech, in November 2016 exploration was at an all time low, oil companies were frantically streamlining their portfolios and redundancies were rife. Fast forward two years and there seems to be an appetite for exploring once more, but with careful constraints on costs and working with a breakeven oil price scenario of around $50 a barrel. The PESGB also ran a charity fundraiser for Great Ormond Street Hospital: giving attendees the opportunity for photos and selfies with an impressive real-life vibroseis truck. © PESGB. Many speakers, both at the initial session and throughout the conference, were quick to point out the challenges ahead, asking if we as an industry had actually changed enough to avoid the ‘boom and bust’ cycles of the past. Presentations from BP and Equinor, based on their annual industry analysis and forecast publications – Energy Outlook and Energy Perspectives respectively – were both fascinating and thought provoking, with the interesting point being made that these are to help us understand uncertainty, not to predict the future. With more competitive energy markets, ambiguities as to when and why demand will peak, and the evolving transition into a more sustainable energy future with lower emissions, there are plenty of uncertainties to ponder with regard to the role of oil and gas in the future . One thing that many speakers did seem to be certain about was the fact that, even if there is an aggressive transition to renewable sources of energy for transport and electricity generation, oil and gas are still going to be needed for many decades. There is therefore a requirement for more exploration as well as improved recovery from both known and new fields. The Future Working Zone, complete with headphones for attendees. © PESGB. Another consensus among speakers and delegates was that a new industry is emerging from this downturn, and vital to this rejuvenated business are new technologies, many of which evolve round AI and machine learning. I spent much of Petex in the ‘Future Working Zone’; a novel experience in itself, as unlike the other lecture theatres, this was in the middle of the Exhibition Hall, with all the buzz and noise that that brings. To overcome this, all attendees listened through headphones, which worked fine, although it was apparently a bit disconcerting for the speakers, particularly during Q&A sessions. The range of talks here covered the obvious candidates such as big data, cloud computing and data analytics, but also seismic data lakes, open data and collaboration, and case studies of various applications of machine learning. Interestingly, quite a few speakers at these sessions were ex-oil company employees who had been made redundant at the beginning of the downturn and had decided to use this unexpected ‘opportunity’ to develop innovative, high-tech solutions to longstanding industry problems. Another first, run in collaboration with the EAGE, was a workshop in machine learning, which covered topics such as successful adoption of AI and the skills required for the next generation of geoscientists. 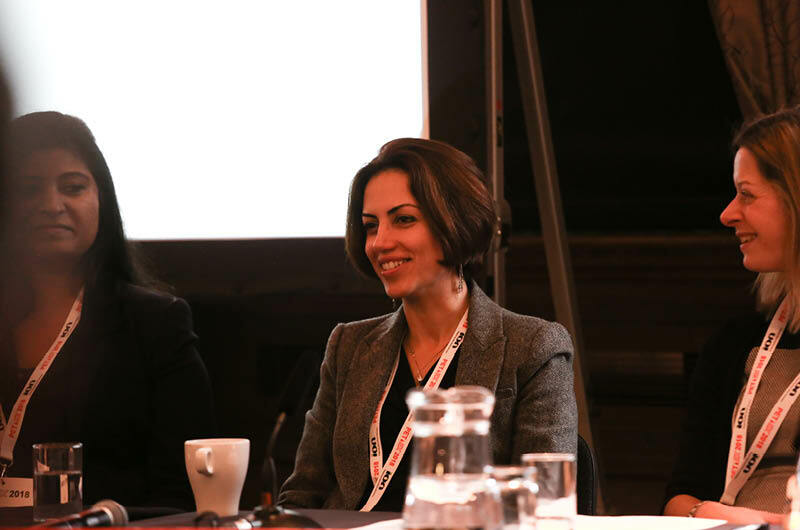 Jay Surt (Women’s Engineering society), Bani Norouzian (StrivE Excellence) and Nicola Adams (BP) were on the panel at the Diversity session. © PESGB. I was not able to attend that session as (not having mastered being in two places simultaneously) I was applying my mind to ‘embracing a new oil and gas: can it be diverse, inclusive and profitable’. Yet another first for PETEX, this was a session to discuss the ways in which we can all help make our workplaces an inclusive place for everyone. Speakers came from both large and small organisations and represented the female and LGBGT community. Unfortunately timed both at the end of the last day and coinciding with the popular machine learning workshop, this was not as well attended as it might have been, but everyone there found the mixture of panel presentations and round table discussions stimulating and thought-provoking. Plenty of students and young professionals attended PETEX. © PESGB. As many speakers pointed out, the multidimensional collaborative future is going to need innovative thinkers – and for that we need the next generation of geoscientists to embrace the industry. With UK geology and postgraduate petroleum courses closing or underfunded and a strong anti-fossil fuel attitude within the general public, it was gratifying to see a large number of students and young professionals at PETEX, keen to learn more about the industry and also take advantage of initiatives the PESGB had laid on for them. 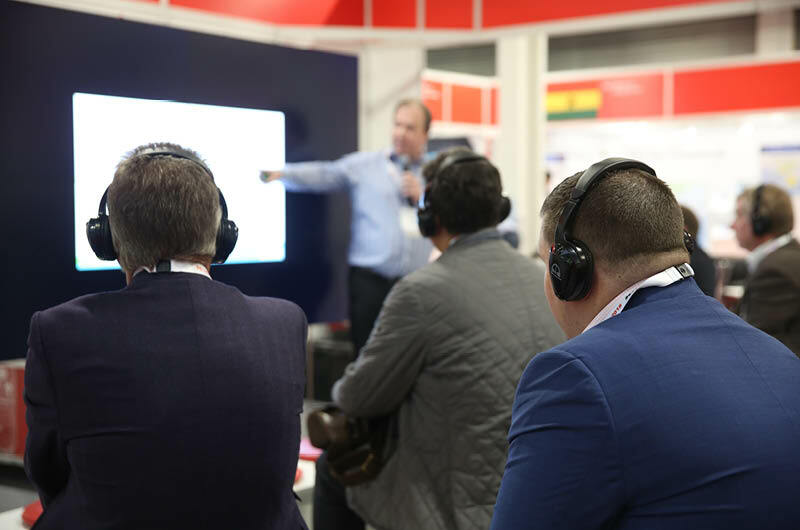 These were primarily in the ‘Explore Your Career’ zone on the exhibition floor, where they could listen to advice on how to maximise their opportunities, start their own business and ways to embrace the digital transformation. There were, of course, many other fascinating talks and posters given during the three days, with session themes covering such diverse topics as mature fields, new frontiers, enabling technologies, collaboration, and strategy and risk. As well as the tight schedule of concurrent talks, there was also a very hectic exhibition floor to visit, where the stands seemed busy most of the time, and the exhibitors we spoke to were definitely feeling the new optimism and the slow emergence of a revived industry. So the final conclusion, as summed up in the plenary interactive debate on ‘Exploring: The Next 5 Years of Oil and Gas’ on the last day, seemed to be one of cautious optimism. The resources are there, the technology is there, the demand is there: – we need to get out and find more. As someone said to me during the Wednesday evening pub crawl – a popular fixture in the PETEX social calendar – PETEX has come home, and it's back to business! Some recommended reading on GEO ExPro articles relating to, or similar in content to, machine learning and diversity in geosciences in oil and gas. A methodology to deal with 'Big Data'.